The Christmas spirit is made merrier with Malaysia's tropical weather and friendly people. Visitors will be spoilt for choice as there are many restaurants, bistros, shopping malls and hotels that offer great promotions planned specially for the occasion. Join in the celebration and have a sunny Christmas in Malaysia! Deepavali or the 'Festival of Lights' is celebrated by Hindus with prayers, family gatherings and festivities. Open houses are held where family and friends visit each other and enjoy delicious traditional goodies (except Labuan and Sarawak). 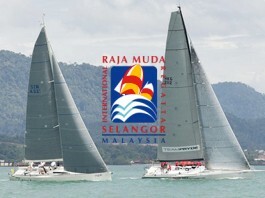 The Raja Muda Selangor International Regatta is a challenging offshore & inshore sailing race organised every year by the Royal Selangor Yacht Club in association with the RORC and consists of three overnight passage races, 260 miles in total, plus 3 days of harbour racing in Penang and Langkawi. This is the premier event of motorcycle racing! Catch the action of the world’s top racers in this exciting event. Held at one of the most challenging circuits in the world, the race is a must-watch for those who love full throttle action. This unique art festival features the aboriginal/ indigenous peoples from various countries: Maori (New Zealand), Aboriginal (Australian), Zulu (South Africa), Aboriginal (Papua New Guinea), Samoas (Samoa) and Malaysia’s Orang Asli. A highlight is the village lifestyle embedded into musical and danced performances which are rich with presentations, displays and manifestations. 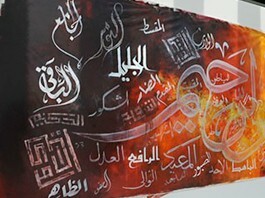 Among the countries that have taken part include Morocco, Egypt, China, Yemen, United Arab Emirates (UAE), Turkey, Oman, Spain, Iran, Indonesia and several other countries, including Malaysia. NGOs and Associations taking part include the Malaysian Board of Books for Young People (MBBY), National Association of Calligraphy and National Visual Arts Gallery. 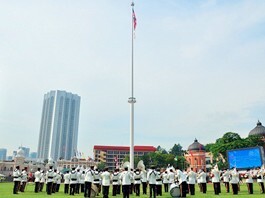 On 31 August, come witness the Merdeka Day Parade at Dataran Merdeka, Kuala Lumpur, in celebration of Malaysia’s Independence Day. Known locally as Hari Kemerdekaan, it is the time when Malaysians show their appreciation for yet another year of harmony among the people, and are reminded of their country’s struggle for independence. This year's Merdeka celebration is themed ‘#sehatisejiwa’, reflecting the spirit of solidarity, understanding, togetherness and humanity of all people in the country. For the first time ever, Malaysia is hosting a mask festival, which will highlight unique performances arts that use masks as a prop. 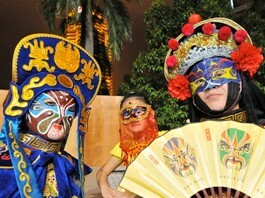 Visitors to the festival will be exposed to traditional masks from all over the world during the mask parade. Among the participating countries are Indonesia, Japan, South Korea, the Philippines, Brazil, Thailand, China, Italy, Australia, New Zealand, and Malaysia. Hari Raya Aidilfitri is celebrated by all Muslims throughout the world to mark the end of the month of Ramadan. 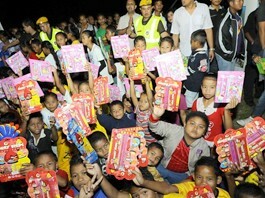 Also known as Hari Raya Puasa, it inculcates the spirit of sharing, caring and forgiving. During this month-long celebration, Muslims invite their relatives and friends over to their homes to join the merriment.